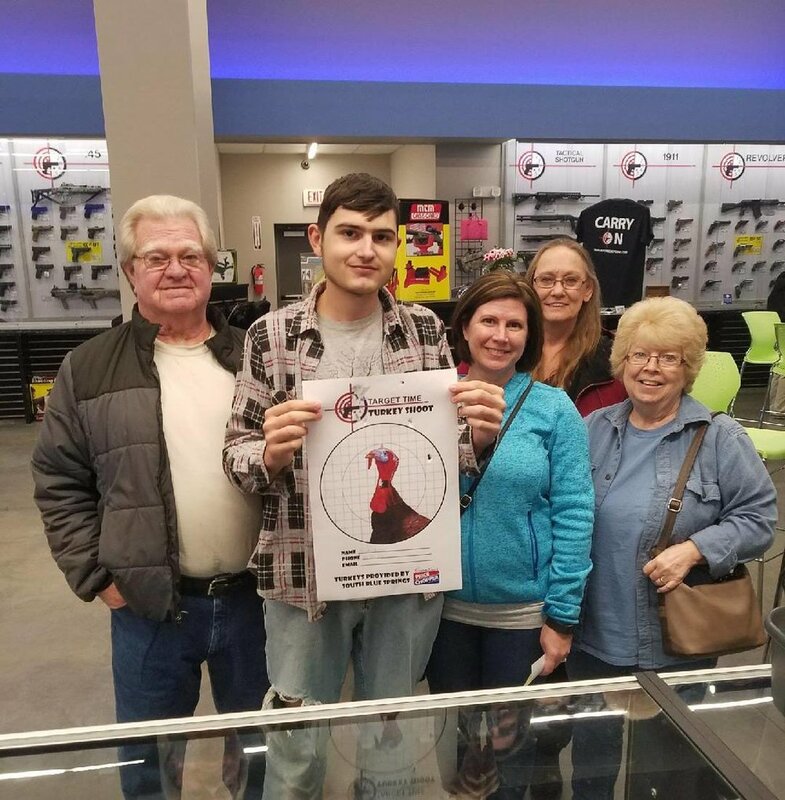 Congratulations to our first Turkey Shoot winner, Noah. On November 16th, 2017, Noah took one shot to put a 00 Buck pellet in the black square on our Turkeys neck. A clean kill! And he didn't even have to get his boots muddy. His family was there to cheer him on. Noah received a coupon to bring to Price Chopper South in Blue springs at 40 & 7 to exchange for a Thanksgiving Turkey. Noah plans to donate the Turkey to a needy family.